Kind of like confessions in a personal diary, Whisper is an app that lets users anonymously share their secrets with millions of others in acts of penitence, relief and to some degree, fanfare incognito. But there are questions about the actions of the company behind Whisper, the social media app that promises users anonymity and claims to be “the safest place on the internet”, that it is tracking the location of its users, including some who have specifically asked not to be followed. Users are encouraged to share intimate information about their private and professional lives, and the thought of their whereabouts being monitored, might alarm some users. The spotlight right now is on whether or not the company is tracking the location of its users, and as an example, sharing some of this information with the US Department of Defence, taken from smart phone users the company knows are located in or around military bases. You’re not, in fact, completely anonymous to Whisper itself. 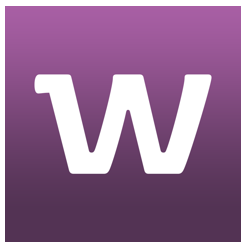 Heyward wants Whisper to be a “compassionate and supportive community where users can be themselves.” His view on anonymity is that he does support free speech, but in his words, “you can’t yell ‘Fire!’ in a crowded building.” So achieving this fine line requires constant monitoring and, technically, ‘compromising’ Whisper users’ complete anonymity. Technology, and mostly humans, are looking at several thousand posts a day to weed out the bullying, and criminal activity, and classifying these users appropriately with labels like “untrusted”. On the flip side, users who post about depression or eating disorders, can be directed to the appropriate place for help. And it also means that anyone who confesses to a serious crime could get an unexpected visit from the police at their front door. But of course, even employees looking at private and anonymous data can make ethical mistakes, intentionally or not. Heyward says that the company always strives to do right by its users, and that they have zero tolerance for any employee who violates that trust. One would assume, then, that Whisper has implemented a Code of Conduct and Ethics and all employees are aware of its existence and have attested to it. If the company is serious about data protection and privacy, and does not want to land in the same heap of trouble that Home Depot did with it’s data calamity, proactive action action needs to happen yesterday, to ensure business success. And if Whisper is true to its word about having a zero tolerance for employees to violate trust, if it hasn’t already, it should implement an ethics reporting system to cement that declaration. Heyward’s number one priority is whether or not Whisper remains a safe place as it experiences growth. With many millions of users, and 2.6 million whispers a day (and collecting $24 million in funding), growth is inevitable and an ethics reporting system should be a partner in that growth.